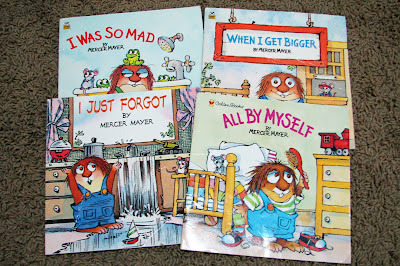 Today we had an "All About Me" preschool theme. 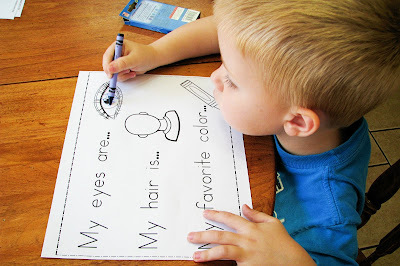 We looked at pictures of my son as he has grown up the last 3 years and talked about how he used to be a baby, but has since grown and learn to do lots of new things. 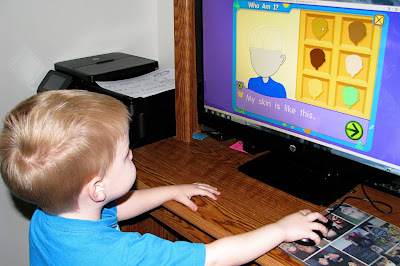 One of his favorite activities was visiting Starfall and doing the "All About Me: Who Am I?" section. Children can make themselves and then make a pet and a bedroom among some other activities. 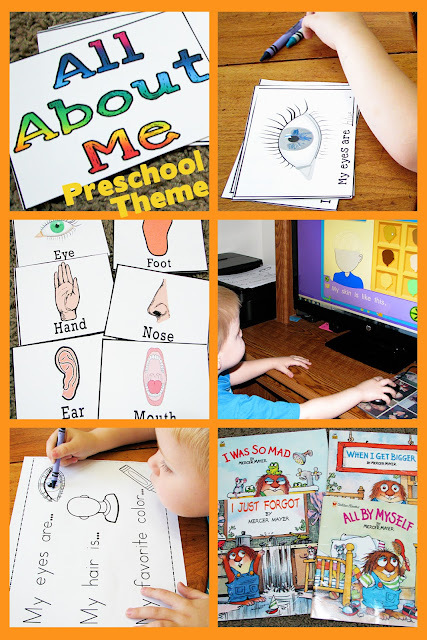 Another favorite activity that we have done with this theme and did again this year was watch a Sesame Street video clip with Will.i.am singing "What I Am" with Sesame Street characters. 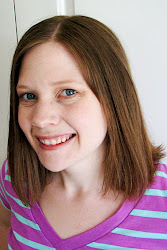 It is a fun song with a great beat and a great message. 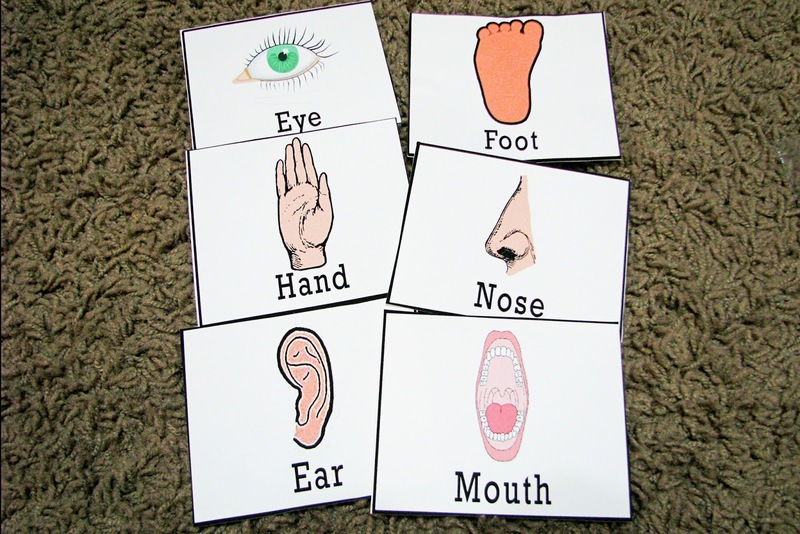 We talked about different body parts and sang "Head, Shoulders, Knees and Toes" We also used these cards to point to different body parts. 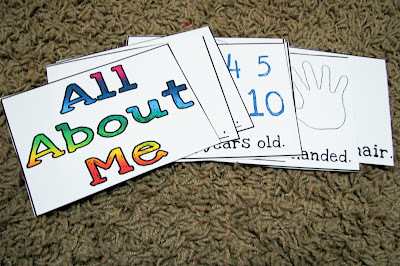 The same site also has an All About Me booklet I printed off and let my son color on and fill out. 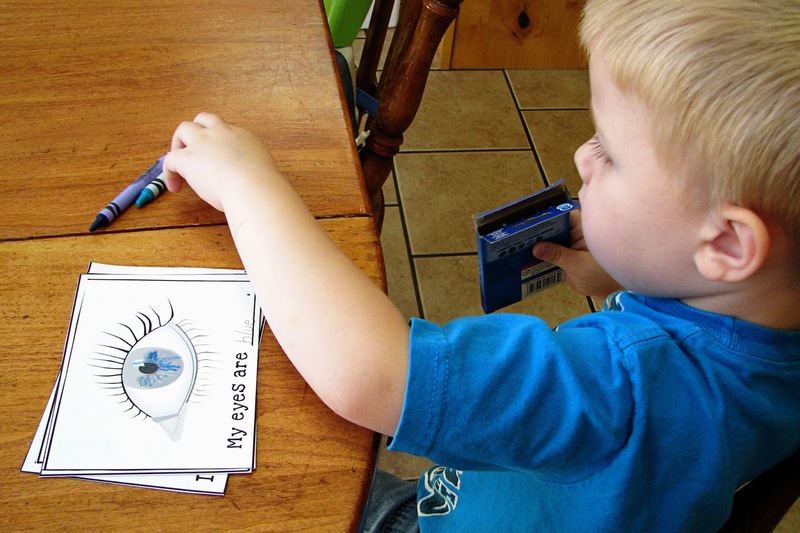 Here is my son coloring his eye blue since he has blue eyes. I also printed off a few pages from this "I Am Special" book for him to do as well. I also found a great resource for making your own tracing pages to print off here. 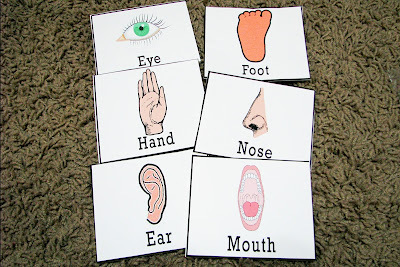 I printed one off with my son's name written on it and we talked about the different letters in his name. Last year was geared to my son who was nearly 5 so if you are looking for older activities you can check it out here.